Stefan Coburn, son of the writer Anthony Coburn - who scripted Doctor Who's first ever serial, An Unearthly Child - has revealed he's suing the corporation on behalf of his long deceased father, to claim ownership of the show's iconic Time Ship. The memo then features hand-scribbled notes from Newman himself, saying that the ideas for the machine weren't visual enough, and that they needed 'a tangible symbol' to represent it. By the time Anthony Coburn was commissioned to write what would become An Unearthly Child, the production team had settled on the police box design, as well as the name TARDIS - standing for Time and Relative Dimension in Space. It is by no means my wish to deprive legions of Doctor Who fans (of whom I was never one) of any aspect of their favourite children's programme. The only ends I wish to accomplish, by whatever lawful means present themselves, involve bringing about the public recognition that should by rights always have been his due, of my father James Anthony Coburn's seminal contribution to Doctor Who, and proper lawful recompense to his surviving estate. Whilst no official statement has been made by the BBC, the corporation is reportedly looking into the complaint - with the Independent noting that no claim on the copyright for the TARDIS imagery had been made since it was registered in the 1980's. This ongoing issue is allegedly scuppering BBC plans to air the first serial on BBC Four in the coming weeks as part of their celebrations for the 50th Anniversary, however the BBC have not commented on whether the issues preventing broadcast have been resolved yet. These first episodes form an important part of the BBC’s celebrations of the 50th anniversary of Doctor Who and we don’t want to deny BBC viewers in the UK the opportunity to see them. We don’t believe that Mr Coburn’s claims should affect any planned programming. An Unearthly Child airs Thursday November 21st, from 10.30pm on BBC 4. This isn't the first time that the Ship has been involved in legal wrangling, though: In 1996, the London Metropolitan Police attempted to capitalise on a recent change to the Trademark Act of 1994 claiming that they, as original designers and owners of the Police Public Call Box, should own the trademark rather than the BBC. 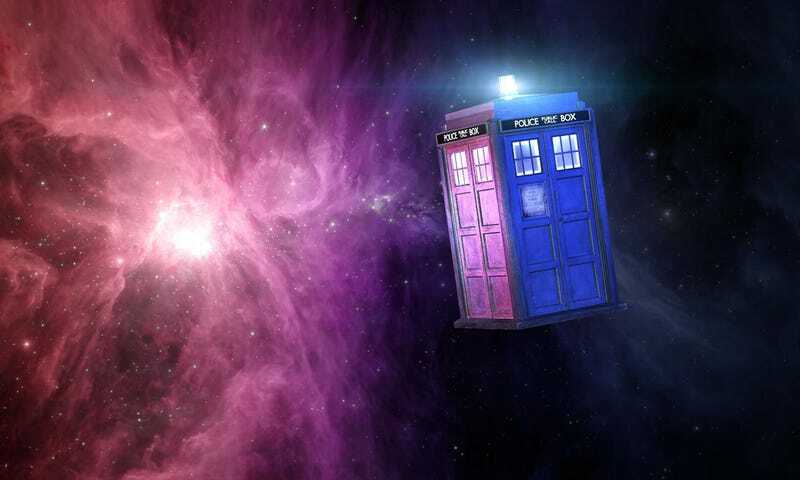 The BBC argued successfully that the imagery of the Police Box was ingrained in the public conciousness as that of the TARDIS, rather than the call boxes that had long since faded into obscurity in the 1990's. After a failed appeal, in 2002 the Met were forced to pay £850 to the corporation, as well as the BBC's legal costs.